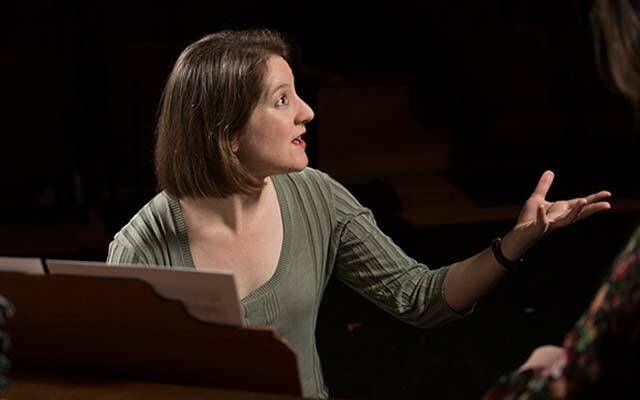 Lisa Bielawa is proving to be one of Innova’s greatest assets, a composer of strong personality who puts musical values first, yet can readily create both drama and spontaneity in the recording studio. This profoundly beautiful disc The Lay of the Love is a perfect example of this. It opens invitingly with music set to an epic poem by Rainer Maria Rilke entitled The Lay of the Love and Death of Cornet Christopher Rilke the ponders the significance of the loss of innocence and the arrival at a sense of mortality. The poem itself is not simply epic, but also lyrical in the grand manner. Ms. Bielawa distils the nature of this poetry relocating it to the landscape of music. The music is dramatic, deeply soulful and with allusions to the horror of war. The setting is the First World War and the story follows the life of Rilke’s young ancestor who discovered his inner self in the Cornet. 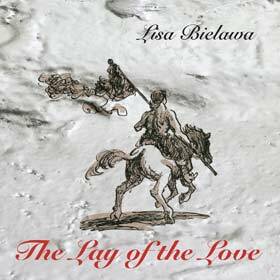 Lisa Bielawa follows the narrative of the poem with the throb of sadness that develops into a piece of near-symphonic proportions completely analogous to the epic nature of Rilke’s poem. Although the music opens and closes with a sense of foreboding, it is essentially lyrical, full of yearning, representing the world of mortals and blessed spirits. Yet there is a tempestuous central section – “Storm in the House” suggesting that inevitably ‘stumbling’ humanity has no place to rest except in death. The masterfully composed work is made all the more memorable by the interpretation and darkly powerful baritone of Jesse Blumberg who can evoke, without a hint of a wobble, exactly the kind of rhapsodic lyrical drama that Rilke’s epic and Ms. Bielawa’s monumental work demands. The exquisite pianism of Jocelyn Dueck and the violin of Colin Jacobsen further contribute to the rich solemnity of the piece. Strong characterisation and the full-bodied almost Germanic vocal score shape the melodic and miraculously beautiful ten-piece opus that Ms. Bielawa must be justifiably proud of. The impact on the marvellous score is guaranteed to strike at the heart of the listener as few pieces of music are likely to. Also on this disc are Wait, a seven and a half minute meditation on six lines of Aleksandr Pushkin’s Eugene Onegin. Here, in her extraordinary mastery of the piano, is Evelyne Luest. This kind of musicianship adds a truly significant part to Lisa Bielawa’s composition. So many aspects of Ms. Luest’s playing are first-class adding airtight chord tunings to an already impactful music. Adam Abeshouse’s violin virtuosity is no less wonderful. Both musicians, aided and abetted by Ms. Bielawa add a genuine kinetic energy to Wait. The final performance on the disc comes in the form of Hurry that follows the first two pieces in that it is also a musical re-enactment of a poem by Boris Pasternak. Almost double the duration of Wait this piece has more time to unfold and is brilliantly constructed with the nervous dramatic energy of an operatic score reminiscent of Wagnerian spirit. The pristine soprano of Sadie Dawkins Rosales is high-velocity and occasionally reveals her intelligent balance of legato and word articulation, as well as a slightly grainy warmth of tone that’s particularly welcome amid the astringency of her coloratura. Adam Abeshouse’s production does sublime justice to these extraordinary works by an ingenious composer.